Option Trading Advanced Terms – Today we will discuss some advanced option trading terms like what is an option buyer and an option seller and how they make profit and losses. Any business can be done only when there is a seller and a buyer. Otherwise a business cannot be done. Same is the case with stock trading. Option is a derivative contract on which business is done. So someone is a seller and some buyers. In other business sellers make money while buyers get a product but will lose money. However in option trading both sellers and buyers can make money. But logic of the way business is done is applied here too. It is mostly the option sellers who make money not the option buyers. And if you properly hedge your traders the sellers can keep making money for life. 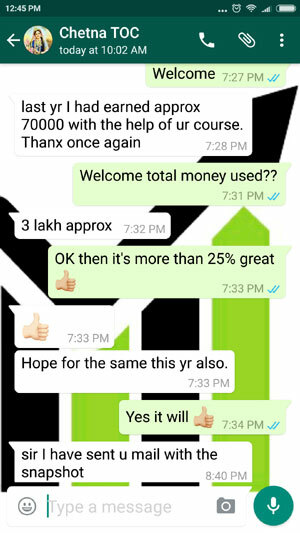 My course 100+ testimonials is a proof that it is option sellers who keep making money. Since 2014 all my course subscribers are making money. Any trader who buys an option to sell. Currently the At The Money Nifty option of 27-Oct-16 8600 CE is trading at 75.05. Suppose an option buyer wants to buy one lot. 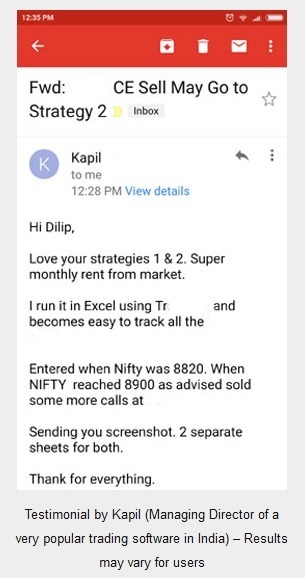 Since the lot size of Nifty option is 75 he will have to pay 75*75.05 = Rs.5628.75 + brokerage charges. Once the trade is completed he owns one lot of Nifty 27-Oct-16 8600 CE option for Rs.5628.75. 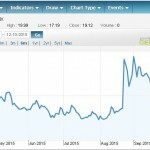 How Option Buyer Makes a Profit? If anytime after he buys till expiry he sells the option at let say 85. He will make the profit of the difference between the buy price and the sell price. His Profit = Sell price (85) – Buy price (75.05) = 9.95 * 75 (one lot) = Rs.746.25/- minus brokerages and taxes. 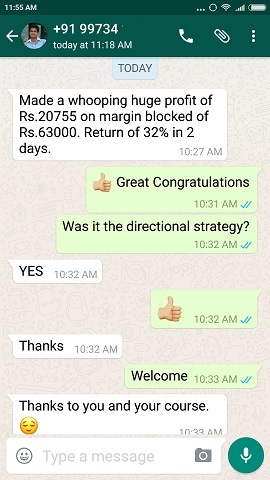 How Option Buyer Makes a Loss? If anytime after he buys till expiry he sells the option at any price less than 75.05 he will make a loss. His loss will be the difference between the buy price and the sell price. Let say after two days Nifty falls and the option is traded at 50. He panics and sells it at 50. His Loss = Sell price (50) – Buy price (75.05) = -25.05 * 75 (one lot) = Rs.-1875.75/-plus the brokerages and taxes. Note: If you are paying too much for brokerages you are losing money which can be saved. Please fill the form here and I will help you to open an account with the best discount broker in India (best broker declared 3 years in a row in India). Their charges are just Rs.20/- per order not per lot like many other brokers charge. Which means even if you buy 10 lots you still pay only Rs.20/- for the order even if it takes half an hour to complete to order. You will save thousands just in brokerages. Any trader who sells an option to buy it back later some day. Currently the At The Money Nifty option of 27-Oct-16 8600 CE is trading at 75.05. Suppose an option seller wants to sell one lot he can place a sell order. Here the broker blocks more margin. Why? Because on paper selling an option is unlimited loss. Those who have done my course know very well that if we hedge the sell trade the losses are going to be limited and we can keep making money for life. Anyways your broker does not want to take a risk so they block more money. How much is blocked to sell an option? If I go for proper explanation than this will take a long time to explain. So I will write some other day. 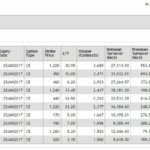 In your trading platform you can try pacing the sell order for an option and see how much margin money your broker is asking. If you have that much money you can sell the option, if not your order will be cancelled due to lack of funds. Since it is very hard to calculate how much margin will be blocked for an option since it differs from stock to stock it is best to put a sell order in the trading platform to see how much money will be blocked. This will help you to know how much money will be blocked. To sell an option in Nifty most brokers block anywhere from Rs.35,000/- to Rs.40,000/-. 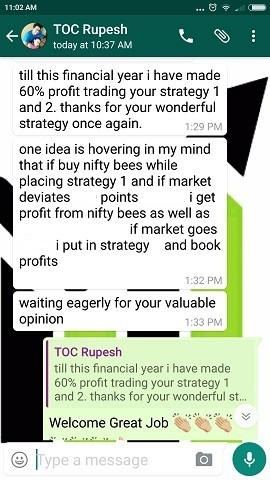 How an Option Seller Makes a Profit? Going by the above example assuming the seller was able to sell the option for 74.50. Now after that next day Nifty falls and his option is trading at 50. He sells it and books a profit. His profit is the difference between sell and buy. His profit: Sell at 74.50 – Buy at 50 = 74.50-50 = 24.50*75 = Rs.1837.50 minus the brokerages and taxes. How an Option Seller Makes a Loss? Remember that option was sold at 74.50. Assuming Nifty goes up the next day and the same option is traded at 80. The seller panics and sells the option at 80. His loss is the difference between sell price and the buy price. His loss: Sell at 74.50 – Buy at 80 = 74.50-80 = -5.50*75 = Rs.-412.50 plus the brokerages and taxes. In the next chapter we will learn what are Option Open Interest and how we can benefit from it.